This one was on a web near my garage. As I tried to take a picture, it quickly slung a line on to the gutter and then the roof and walked to the other side. Frame of reference is gutter nail. Thinking possibly a brown recluse? Any thoughts?! Dangerous? 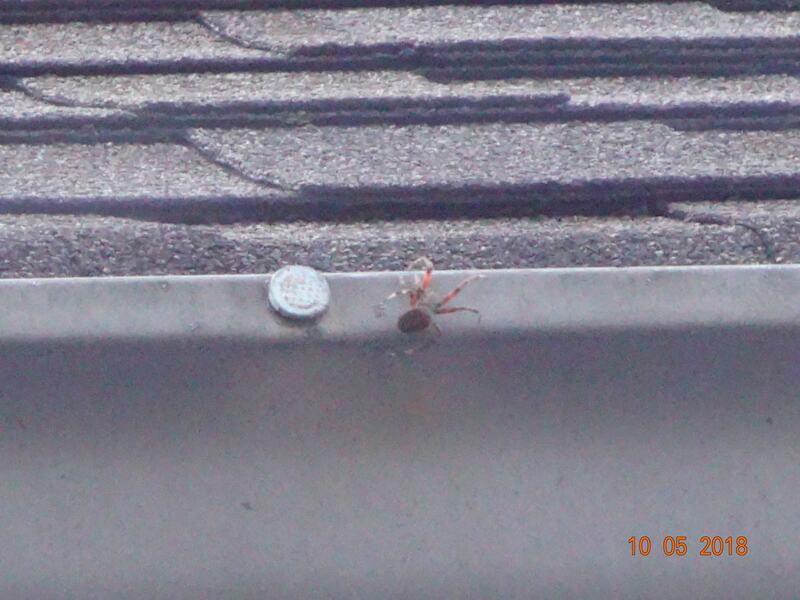 Was thinking it’s either a brown recluse, brown widow, or an orb weaver. I have multiple angles and video but I don’t see how to post those. Thanks for any help!